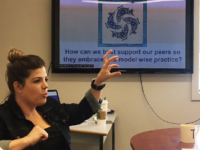 At the first day of the Network of Innovation and Inquiry (NOII) Symposium, participants had the opportunity to attend break-out sessions presented by schools. One of the break-outs we chose, was that of Dover Bay Secondary School from School District 68 Nanaimo Ladysmith. To begin their journey the team scanned their teachers asking, “what is going on for our teachers?”, so that they could inform their plans to build a cross-curricular inquiry project. Following their scan, they used teachers’ starting points to inform the ways in which they would use and recognise indigenous understandings as an entry point for connecting interdisciplinary competencies. Teachers hunched that a cross-curricular assignment would enhance their understanding that learning doesn’t happen in isolated subject areas — that all content has connections. They then initiated their team professional learning around this theme. Once the staff had started engaging in relevant professional learning, the team developed a clear outline for what students needed to do. 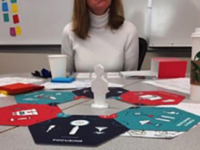 They presented this in a mindmap format as a tool that learners could use — learners had choice around presentation (paper or digital). 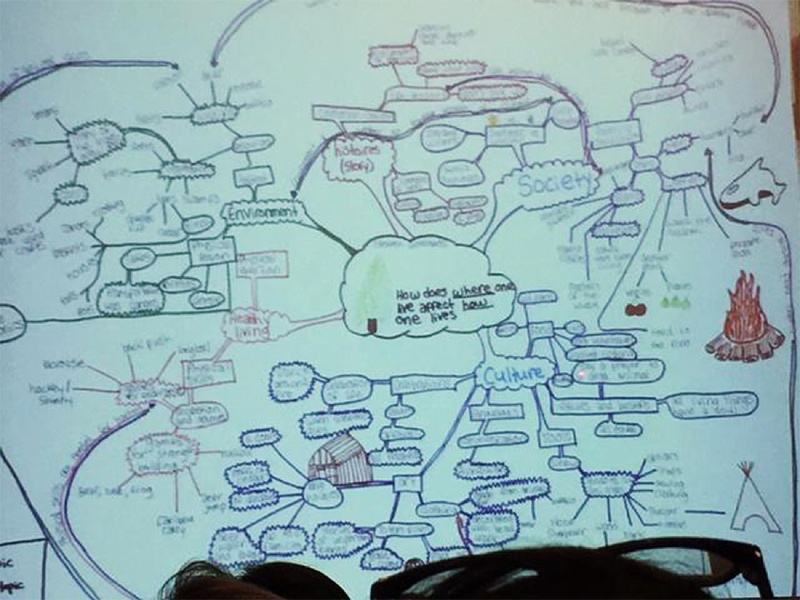 The mindmapping process defined the themes (curriculum content and concepts) to be used in the six-week interdisciplinary project. Teachers then re-worded curriculum competencies in learner language for the project, which acted as guides for learners — helping them to connect concepts as they explored themes. The initial question put to learners was, “How does where one lives affect how one lives?”. Every subject area used this question, but had a different focus. This was new; the staff had to trust that this was going to work in many ways. They let their learners work, or not work at times, to encourage agency and self-regulation. 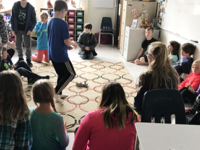 As the project continued, teachers found they had to collaborate, so that as learners moved from class to class they weren’t doing the same thing all day. For example, if learners were taking a research approach in STEM today, they would also be covering other useful content in another class. Staff and learners used First Peoples Principles of Learning (FPPL) as the foundation of lessons and backbone of stories to be written. 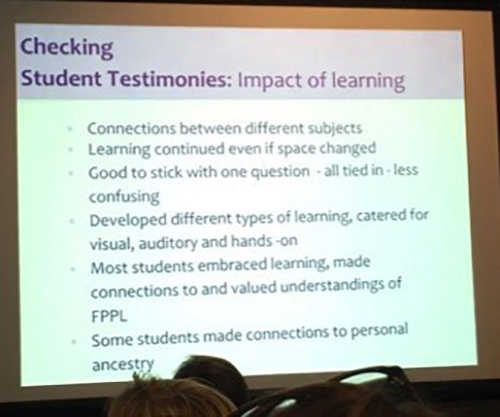 Learners were supported to access indigenous content, to connect to the FPPL, and then to apply these to overall learning and demonstrations of learning. Some courses started with a focus on day-to-day lives of different indigenous groups they were studying. Staff worked together to develop performance-indicator rubrics, and mindmaps were assessed using this. Using questions like, “What tools and strategies did you use to help yourself improve as a learner?” helped learners with metacognition and analysis of their learning. Learners used their mindmapping skills to summarise large topics and bring their thinking altogether, so they could reflect on their current lifestyles as well as culture and society in general. 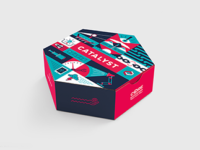 First started: proud, creative, energised, expectant, inquisitive, excited, trusting, possibilities, overwhelmed. After Finishing: Accomplished, future, impressed, inspired, excited, grateful, next steps, amazed, proud.